World’s most expensive pizza costs $450 and comes topped with all the luxury ingredients you can find in the gourmet world. 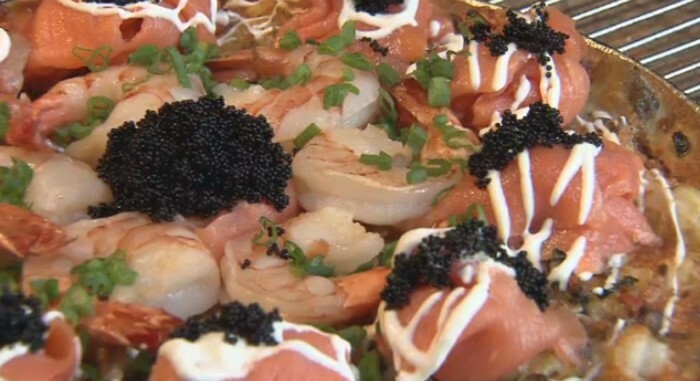 Stevenson Pizza, a pizza parlor in Vancouver, Canada decided to make their plain old pizza a luxury by adding smoked salmon, tiger prawns, Alaska cod, lobster and mushrooms, and topping it with a mountain of Russian caviar. 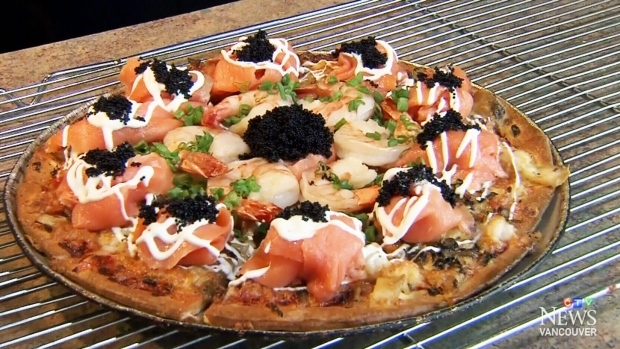 The 12-inch fresh seafood pizza, named C6, can be cut into 10 decent slices with each slice costing a pricey $45. 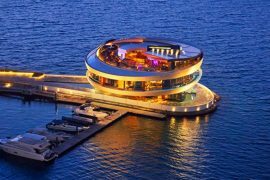 Along the way, this little pizza parlor was able to beat Gordon Ramsay’s 2005 white truffle pizza to claim the title as world’s most expensive pizza. 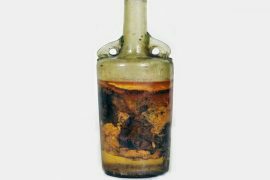 Care For A Glass From The World’s Oldest Bottle Of Wine, From 350 AD?